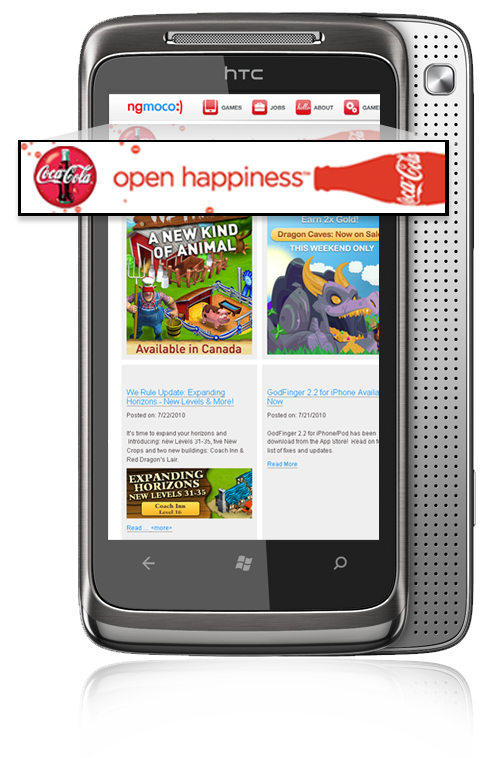 InMobi is proud to be one of the first mobile ad networks to offer Windows Phone 7 app inventory to advertisers. We are certified by Appnexus & Microsoft , and now offer our advertisers the ability to run campaigns on the Windows Phone 7 platform. We can target both AT&T and T-Mobile inventory. We can also leverage our Advertising ROI Tracker technology (AdROIt) to track and optimize performance post click. Standard 300 x 50 display banners are available immediately, the new 480x80 ad units will be available starting by December 15th. Advertisers interested in this opportunity should contact us at sales-team@InMobi.com or reach out to their InMobi contact.